Father’s Day is a great time for some extra special bonding between father and daughter. There are many ways you can make the day memorable for your girl that won’t break the bank. But, what types of fun Father’s Day activities could you do together? Give yourself the best Father’s Day gift ever! What do girls want more than anything from their dads? That overpriced doll like her friend has that she just can’t live without? She might be happy with those things for a while, but what she really wants, what she needs, is something that will stay with her forever. That will remain a part of her as she grows. That’s it. Your time. Your undivided, non-distracted time. Put the cell phone away, clear your mind of to-do lists, worries, and schedules. Then tell her what you want, what you want more than anything in the world on your day, is to spend time with her. Tell her it will be just the two of you. If she’s used to only getting half of your attention let her know you won’t look at your phone, you’re turning it off right now so you won’t miss one second. For the next few hours, just be there in this moment with your amazing daughter. No matter what struggles you’ve had, she is amazing. She is her own unique person. Take the time to see that. 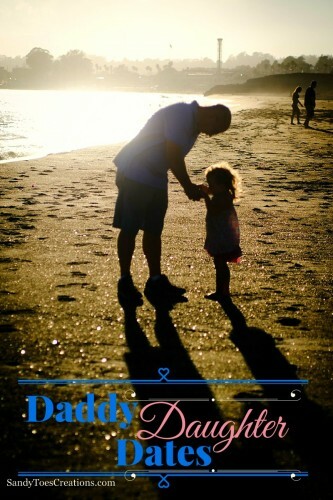 What will you do with your daughter on Father’s Day? It doesn’t matter what you do. You can sit at the table, on the couch, in the back yard. You can go get bagels, or to the park. Get to know her again. Even if this much time together is not unusual for you, try to see her as someone else might. Find out who she really is. Where is her favorite place? What is her best memory in her whole life? If she could have any superpower what would it be? You know… the important things you should know about one of your favorite people. Let her know your own answers to these questions, as well, and why. It doesn’t matter if she is 6 or 16; she needs to know you care. She needs to feel without a doubt that you want to know her. If she’s older she may roll her eyes and make a big effort to show you she doesn’t need this, she may even believe it, but she truly does. And she will remember the effort you put in years from now. Especially if you make Daddy Daughter Date a regularly scheduled event, say once a month? If you find it a bit awkward sitting around, ask what she would like to do or make some suggestions in case her only desire seems to be to go to Disneyland. Draw a family portrait (it doesn’t matter how bad you think you are at art, the worse the better, to bring on some giggles) or each draw a portrait of the other with no looking until you’re done. There are millions of other low cost activities you can do together. Get creative. Most of all enjoy each other’s company. Enjoy the best Father’s Day you’ve ever had given. About the Author: L. E. Mastilock is a published author and multimedia artist. Family is the most important thing to her. She lives a green lifestyle and homeschools her kids in Santa Cruz, CA. She writes about parenting, education and more at Sandy Toes Creations. Follow her on Facebook and Twitter and Pinterest.